Well, it’s finally April, and you know what that means. Spring is here, rain is falling, and, that’s right, it’s grilled cheese day! On April 12th, people in Hollywood, FL and all around the country will be celebrating with the most delicious sandwiches ever invented. This month, The Club at Emerald Waters blog has compiled a list of our favorite grilled recipes to add a little pizazz to a classic sandwich. Best of all, they’re all super easy to make in your apartment! Take your grilled cheese to the next level by adding tomatoes, onions, and jalapeno peppers to give it some extra flavor. Use your favorite type of bread and cheese. This recipe takes a classic grilled cheese to the next level by adding tomatoes, onions, and jalapeno peppers to the inside to give it extra flavor. Use your favorite brand of white bread and some American cheese for a sandwich you’ll love to tear into. Which of these recipes are you most excited to make? Comment below to let us know what you think! 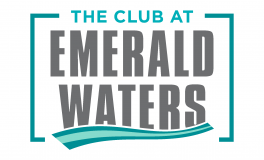 Have a wonderful spring here in your apartment at The Club at Emerald Waters!